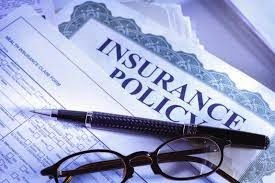 Most of the people out there take insurance to cover the mortgages only, but it is the wrong way to go. The sum equivalent to the mortgages is an easy choice to take but it is never the best choice. It being the biggest expense of a month is the reason for mortgages given priority, however there are a lot of other things that needs to be kept in mind. Other expenses include things like credit card bills, car finance schemes or personal loans taken. Along with that, think about the future like the amount of money that your family will need for the funeral and other stuff and take an insurance which covers all these. While there is a need to provide proper security for all the members, children in particular should be given priority. They are going to need the financial help until they could stand on their own, so knowing their needs will be crucial. The school fees need to be covered as well as their tuition fees needed for the University. Even after considering all these, cut down to an affordable price so that it is a win-win situation for everyone. Things come in various sizes and shapes and so does insurances. There are a variety of them available out there, but the main classification can be simplified into two. First one is the team insurance. It is the cheapest cover which will pay out the sum within a period after the death. The second one is the whole of life insurance, which offers the protection for your lifetime. The premiums are kept steeper compared to the other one, but it works well on the long run. Adding the critical illness insurance along with these could prove effective as well. The critical illness insurance covers a plethora of diseases ranging from cancers to heart diseases. If you are in a very healthy relationship with your spouse, it is recommended that you take a joint insurance rather than two individual ones. This will provide with a cheaper plan compared to the two separate terms and the policy only has one payout which will be done once one of the policy holders die. The problem with this is for the survivor. He or she needs to take a new insurance after the death of her partner, which might prove to be a bit costly compared to the last outing. Before going out in the market to get a new insurance know what you already have. If you have a cover already in place, adding another one would just mean you pay for the cover twice. Get in touch with your employer and know about the services they give in the existing insurance. They might provide with a good amount on the occasion of your death so add to this amount when you calculate the income before getting a new life insurance.